So, you are in the market for a home and you are suddenly told that street names can affect home values. What? Is this some kind of joke? Can this be remotely possible? Well, if you believe a recent piece published in the New York Times, street names do indeed tell stories and ultimately tell us if a neighborhood is expensive or affordable, brand-new or decades old. Based on some extensive data research, the writers Spencer Rascoff and Stan Humphries (both of Zillow) learned three things about the relationship between home values and street names — first, names are better than numbers; second, lanes are better than streets; and unusual names are better than common ones. It seems, on average, homes located on “streets” are two percent more valuable than those on numbered streets. And, street suffixes (such as “road,” “drive” and “boulevard”) offer clues about the size of the neighborhood. Rascoff and Humphries go on to say that nationally the most common street names tend to have the lowest values. 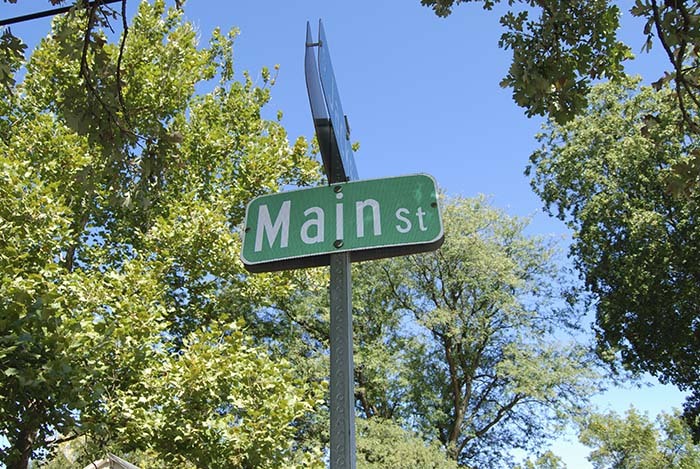 They use the example of Main Street. It’s by far the most common street name in America. Apparently, it’s also the least valuable as Main Street homes are worth, on average, about four percent less than America’s median. On the other side of the spectrum are “Lake” and “Sunset.” Homes on “Lake” average 16 percent more than the national median home value and “Sunset” houses are a close second. While the above information might be valuable (and interesting) while searching for a home, we suggest you don’t rely on it exclusively. Instead, the recommendation is to perform your due diligence across the board and you will come up with the home that best suits you.